Spoilt entitled brat #LabanLeni Robredo to lead spoilt entitled brat Opposition! Leni Robredo’s tantrum over her termination from the Cabinet last weekend continued all the way up to the whole of Monday. 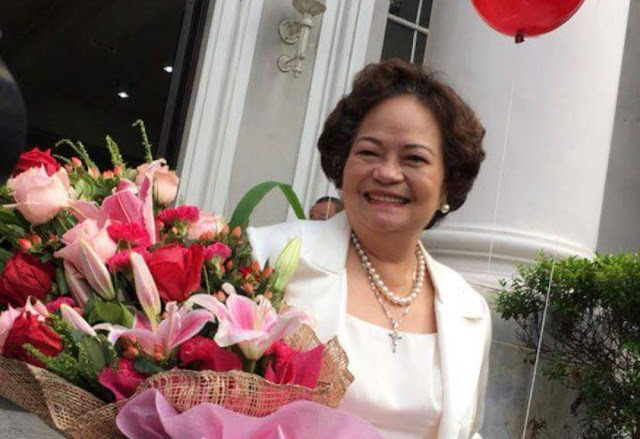 Nagdadabog talaga ang lola! 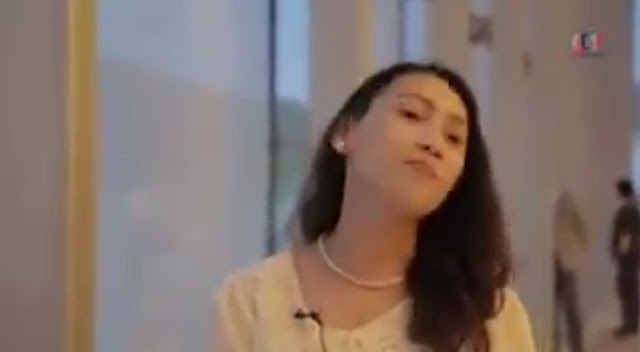 To follow up her lengthy “I won’t let the Vice Presidency be stolen!” press statement last Sunday, she held a press conference on the same subject Monday afternoon. And, as if that STILL wasn’t enough, she went live on every major TV news program on Monday night to talk about the same subject, which in truth is not even an issue of national concern and matters only to her and her party. Her stamina for marathon back-to-back live interviews just might dethrone Leila de Lima as reigning queen of press conferences and media overkill. 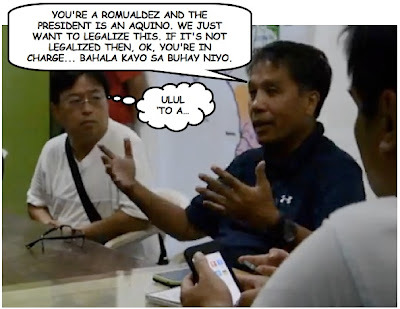 While Robredo was busy carping to the press about pro-Bongbong Marcos trolls tweeting her goodbye even before she received the “desist” text message last Saturday, President Duterte was in Malacanang trying to solve the country’s gargantuan problems with the other Cabinet members. He took a break for the Christmas tree lighting, then resumed the Cabinet meeting late into the night. Here’s the video of the short speech President Duterte gave at the Christmas tree ceremony. It's one of his best. Extemporaneous as always, and cuts straight to the heart. From these statements alone, the vast difference in character between these two is crystal clear. Now that she’s out of the Cabinet, Robredo announced that she will be the opposition leader. Good luck, Leni. You’re going to need it. If people like me who normally don’t give a sh*t about politics have been so infuriated by your pettiness and hypocrisy that they‘ve started spewing online, I can only imagine how the millions of rabid Die-Hard Duterte Supporters are feeling. I know their rage is real, because I feel it myself. And now, all that rage will be directed at you, since you’re too clueless to see that the old hats of the Liberal Party are merely using you as their dummy for attacking President Duterte. To them, you are disposable like toilet paper, while they want to preserve their ties with the President to survive this political sh*tstorm. 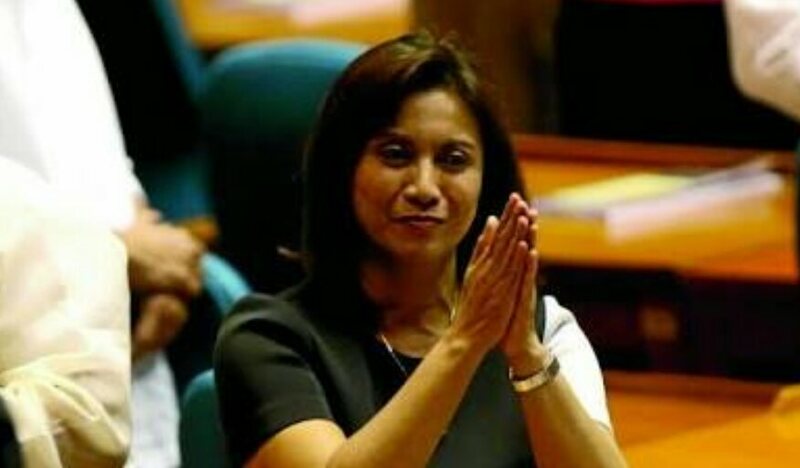 Someday, Robredo is going to look back at the text messages asking her to stop attending Cabinet meetings and realize that President Duterte’s men showed more compassion for saving her reputation than her party bosses did. She will finally recognize what it means to be given the chance to make a graceful exit, but by then it will be too late. This is a GRP Featured Comment. Join the discussion! I have seen monsters. And they are all decent.